If you’re like me, you constantly wonder how you’re doing on your various social media platforms. And while likes, favorites and retweets have gone a long way in padding your self-confidence, it’s difficult to know how much of an effect your pictures, posts and selfies are having on the world around you. 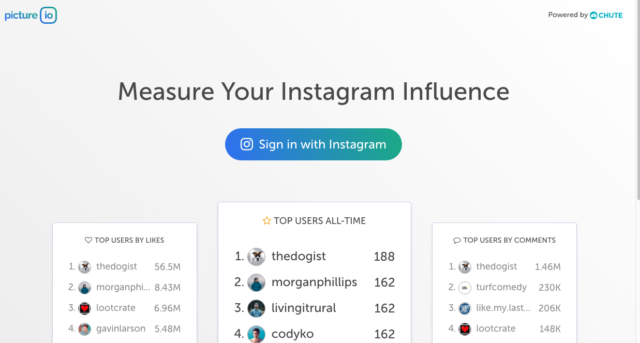 Fortunately, someone that understands your need to be the best has created Picture.io, a simple way to measure your visual influence through your Instagram account. When I say “simple,” I mean simple. The website is set up so comprehensively that users only need to press a button, accept that the website will have access to your Instagram account and voila: you receive an arbitrary score evaluating how influential you are with your collection of pictures. When I say “arbitrary,” I mean arbitrary. As far as I could find, there is no range to compare yourself to the bottom or the top. Much like the quarterback rating in football, the rating system appears to be filled with endless potential, where your own popularity is the ceiling. Once you’ve entered your own account, you are privileged to the “top users” lists, which show you the best performers in likes, comments and overall score. And no, the list is not filled with celebrities and sports stars. The micro-influencers at the top of the list are skilled photographers Morgan Phillips and Remo Jacobs, who were only slightly behind the number one spot held by an account that exclusively posts pictures of cute dogs. Yes, sometimes the internet is a very predictable place. And while my paltry influence score of 43 paled in comparison to the influence score of 188 held by “thedogist,” the application accomplished its goal of making me feel bad about my photography skills. 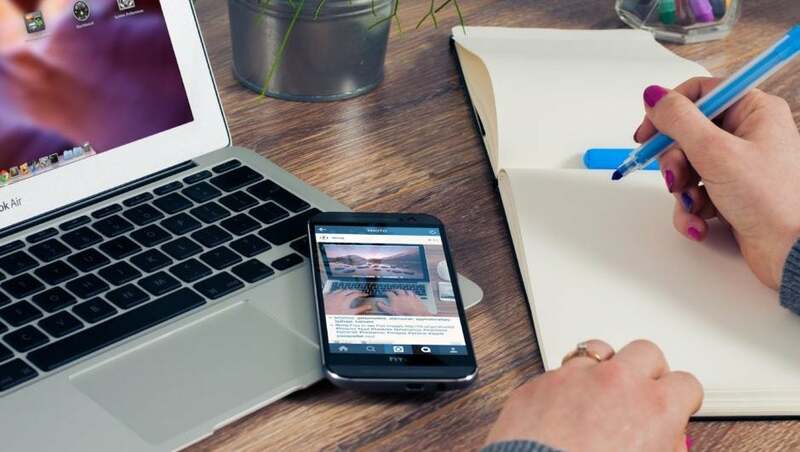 The application is clearly a nod to the services provided by Chute, the first end-to-end visual marketing solution that allows companies to tell stories through pictures in a comprehensive and effective way. While there is no explicit advertising for their services on the website, a prominent “powered by Chute” logo can be found in the upper right corner. Without much competition in Instagram influence measurement, Picture.io should continue to be the best way to get your feelings hurt on social media.